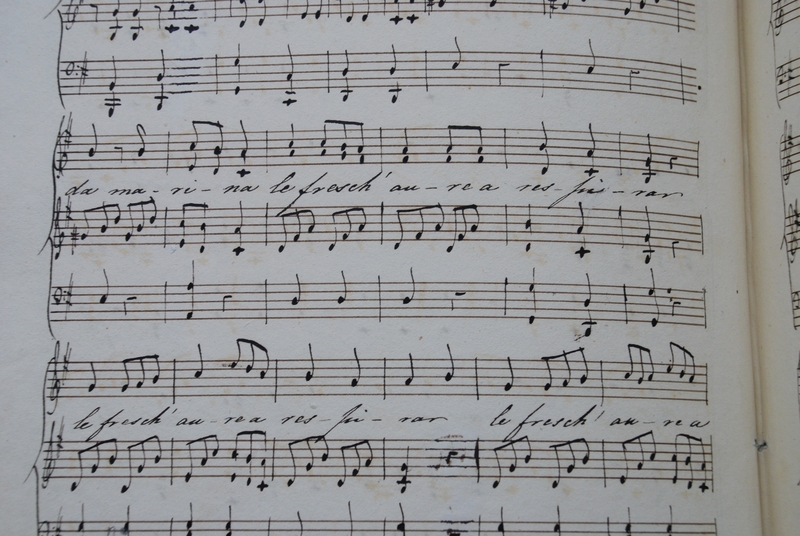 What were the “Englische” songs, and in what ways were they English? Many were simply in the English language; others were more discernibly infused with a patriotic culture. 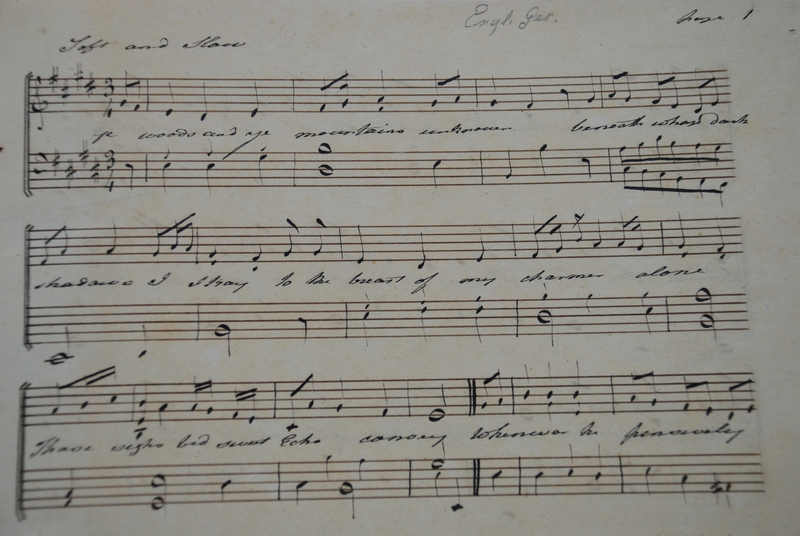 Some were printed, others in manuscript. 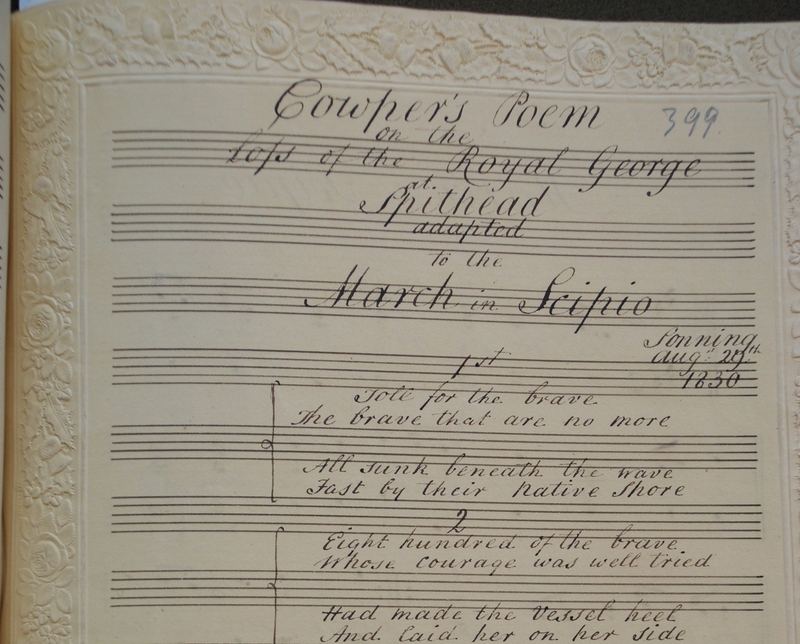 In Item 830, an English songbook of mainly manuscript material, copies of often untitled songs dating to the 1820s or 1830s can be found alongside more elaborate pieces or individual poems set to music, as in the examples below of “Cowper’s Poem on the Loss of the Royal George at Spithead adapted to the March in Scipio,” dated August 29, 1830, or Dr. Green’s “Sing unto the Lord a new song,” dated January 22, 1829. 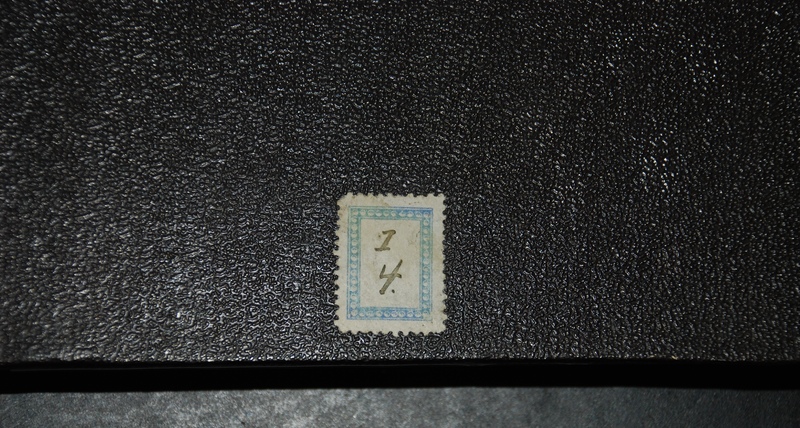 Popular titles are bundled alongside each other, at times attributed, at others not, in differing hands and on various types of paper. 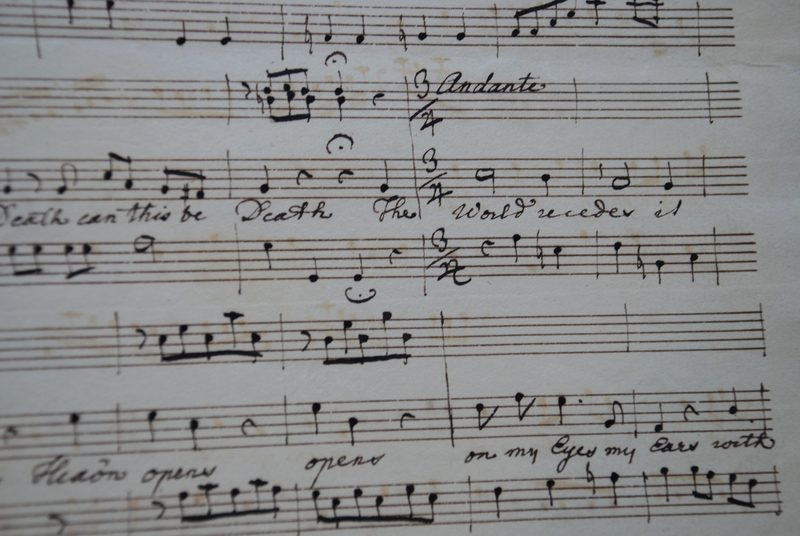 One piece, a holograph setting by Johann Christian Bach, “The Expiring Christian to His Soul,” is annotated with the note, “Words written by Alexander Pope Eqr”; another hymn, “When the heart with sin & sorrow,” carries the note, “Words by Miss MB.” The majority were either familiar, anonymous, or simply ephemeral enough not to merit attribution. 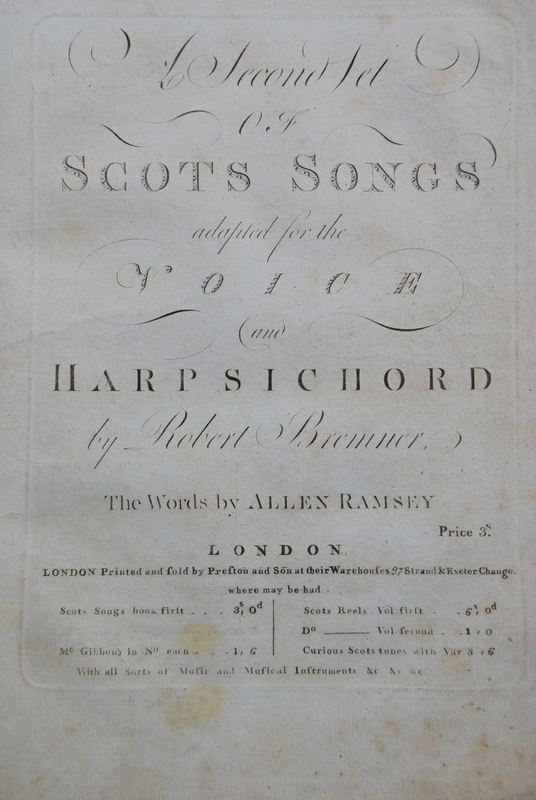 Still other “Englische Gesänge” were about the Scottish or Irish, as in this titlepage of a printed selection of Scottish songs, from Item 868. 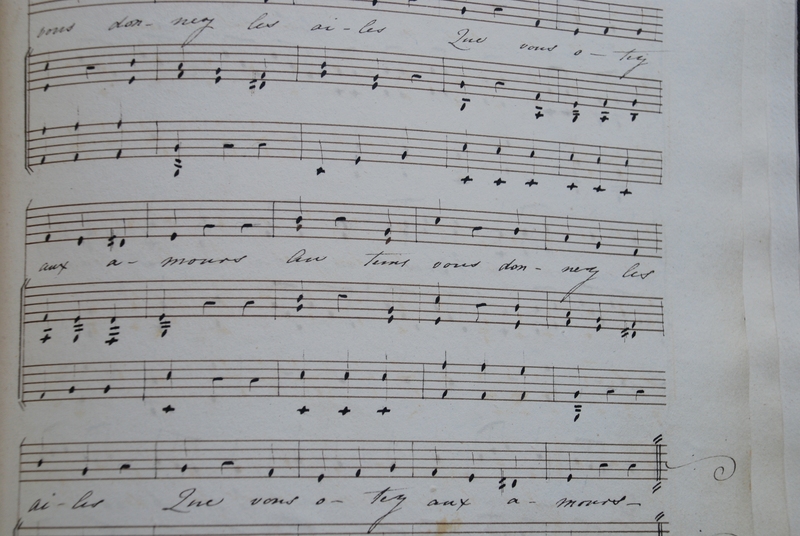 Others, reinforcing the impression of the albums as indiscriminately bound bundles, simply weren’t English at all. Why these songs, then, and not others? 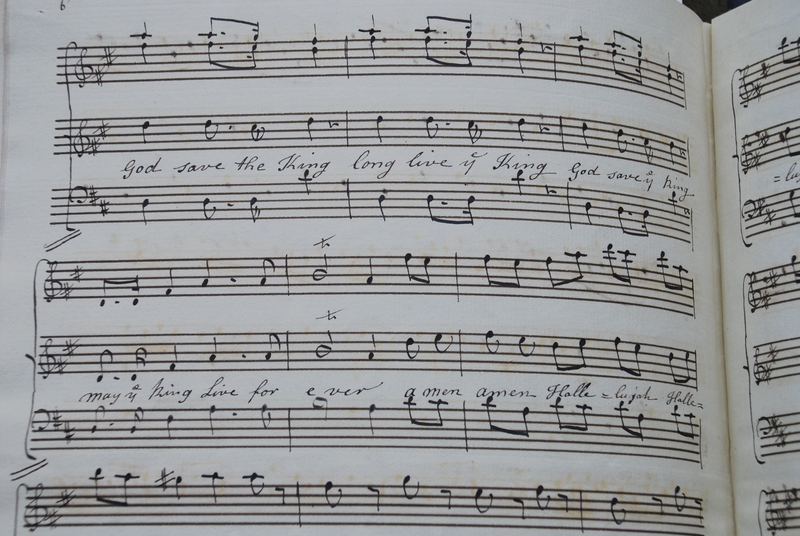 There seems to be no clear answer: the albums, like the rest of Osborn MSS 146, formed that part of the Hanover household music library which went with Ernest Augustus to Germany, when he became King of Hanover in 1837. 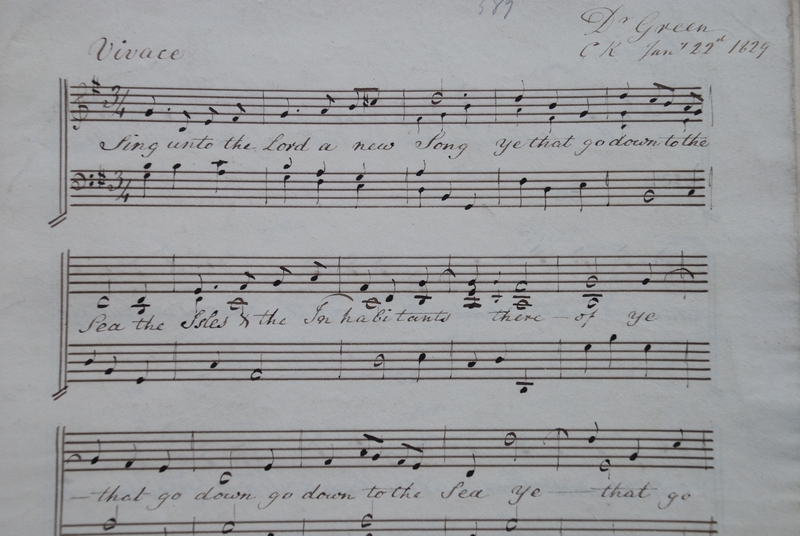 The songbooks contain music at least through 1839, implying that they were bound after the move. By whose selection, though, and with what principles–and in what haste, and with what degree of attention–remains unknown.